Since John Eaves posted his excellent designs for the DS-9 Jem ‘Hadar battle ship, I thought I would let you see it as a model. 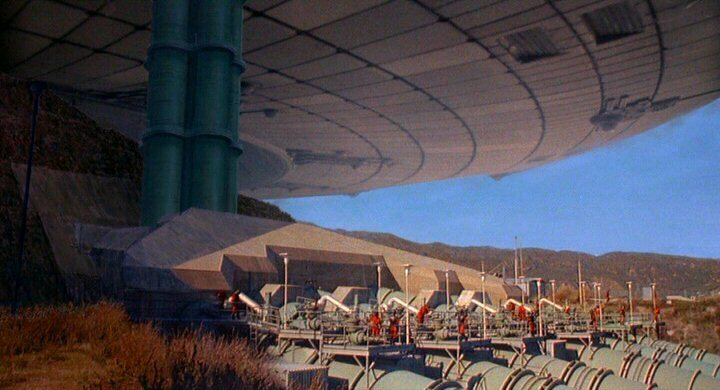 Here is another of Syd Dutton’s terrific Buck Rogers matte paintings. Syd again used the original negative / latent image compositing technique. 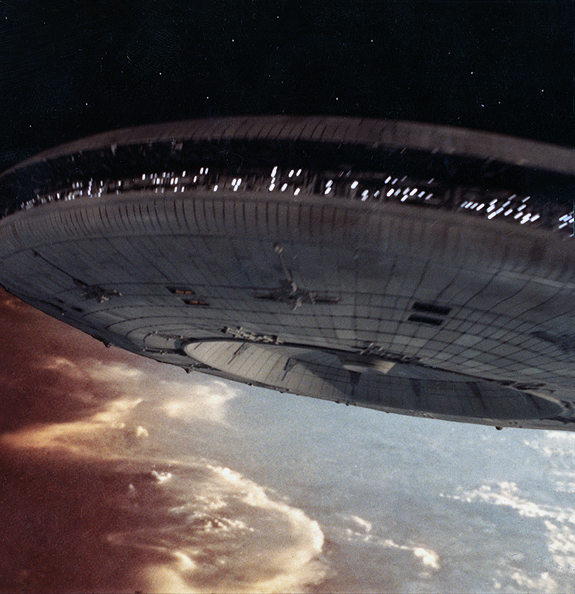 This is one of my favorite shots of the Mothership from “V-The Final Battle.” This was a gorgeous model constructed by famed model maker, Greg Jein. It was about 30 inches across and made of cast resin with neon internal lighting. 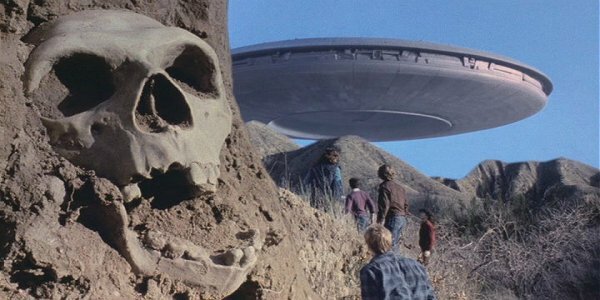 Here are two more shots from “V-The Final Battle.” The saucer was an approx. 30″ model constructed by Greg Jein. 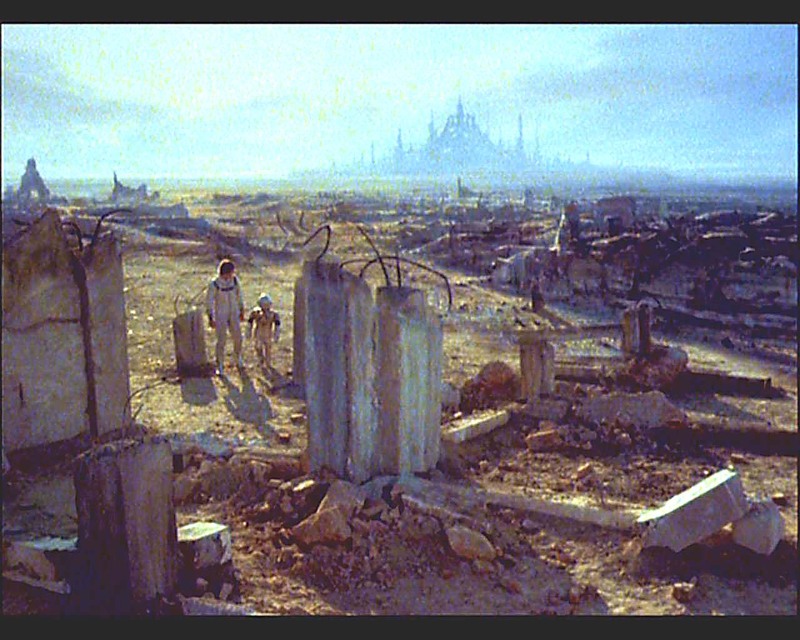 It was composited with the live action using two rear projection images with matte painting blends by David Stipes. Well, here comes another remake! Before the new “V” gets here I thought I would put up a few pix from the original.